We’re already in the second month of 2018 and already we’re starting to see trends of what’s going to be most popular this year, in terms of leavers hoodies designs. When will most leavers hoodies be bought in 2018? You can buy leavers hoodies all throughout the year, but the most popular times are usually in preparation for the end of the school year. However, that varies depending on whether you’re moving on from primary school or leaving a certain GCSE or A-level class towards the start of the year, to start prepping for exams. Then, for university students, depending on your course and when you started it, leavers hoodies could be required at several points during 2018. So far, we have had students and schools order leavers hoodies in preparation for classes that will disperse after Easter, which is little over a month away, now. Of these, the most popular have been purely dependant on each school’s ordering process; around whether the students can choose and order their own hoodies or whether there is a school standard. Leavers premium hoodies – perhaps because of the time of year, this heavyweight hoody is so far extremely popular. It’s warm and comfortable, with thumb holes in the cuffs to help keep hands warm on cold winter mornings. Leavers college hoodies – a firm favourite every year, this hoody is available in 50 different colours, which makes it the best choice for students wanting to show their individual style in and after leaving school or college. It also allows for students to choose the same colour as a particular class or group of friends. The hidden earphone cord also makes this leavers hoody a popular choice. Leavers two tone zipped hoodies – with 12 colourways to choose from, this style of leavers hoody allows schools to customise their hoody designs to their school colours, before use of print or embroidery personalisation is used. With a premium look and feel, these hoodies always go down well with students and parents alike. Leavers t-shirts – understandably, whilst hoodies are worn all year round in the UK, when it comes to planning something for leavers to wear towards the summer, many schools will opt for t-shirts. This style in particular is quarter-turned to eliminate creasing, which means that students can look smart in their t-shirts with minimum maintenance. Available in 50 colours, there’s a shade to suit every school, college or club. 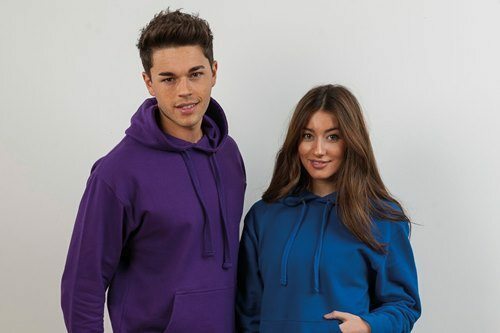 At Leavers Hoodies Company, we make it easy and hassle-free to order leavers hoodies for yourself or your school/college. See how to order for more information, or request a quote based on how many hoodies you would like.